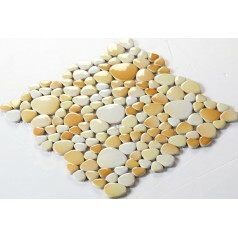 Collection: Porcelain Mosaic Tiles; Material: Porcelain ; Shape: lantern; Color: Brown; Size: 276x 250 x 6mm; Chip Size: 70x72mmMosaic Tiles specializes in quality..
Collection: Porcelain Mosaic Tiles; Material: Porcelain; Shape: Square; Color: White and Brown; Size: 300 x 300 x 6 mm; Chip Size: 25 x 25 mmMosaic Tiles specializes in..
Collection: Porcelain Mosaic Tiles; Material: Porcelain; Shape: Square; Color: Yellow and Orange; Size: 300x 300 x 8mm; Chip Size: 48x48mmMosaic Tiles specializes in..
Collection: Porcelain Mosaic Tiles; Material: Porcelain; Shape: Square; Color: Yellow; Size: 300x 300 x 5mm; Chip Size: 25x25mmMosaic Tiles specializes in quality..
Collection: Porcelain Mosaic Tiles; Material: Porcelain; Shape: Square; Color: Blue and White; Size: 300 x 300 x 4 mm; Chip Size: 25 x 25 mmMosaic Tiles specializes in..
Collection: Porcelain Mosaic Tiles; Material: Porcelain; Shape: Square; Color: Blue and White; Size: 300x 300 x 5mm; Chip Size: 48x48mmMosaic Tiles specializes in..
Collection: Porcelain Mosaic Tiles; Material: Porcelain ; Shape: Square; Color: White; Size: 300x 300 x 6.5mm; Chip Size: 97x97mmMosaic Tiles specializes in quality..
Collection: Porcelain Mosaic Tiles; Material: Porcelain; Shape: Square; Color: Black and White; Size: 300x 300 x 8mm; Chip Size: 48x48mmMosaic Tiles specializes in..
Collection: Porcelain Mosaic Tiles; Material: Porcelain ; Shape: lantern; Color: black; Size: 276x 250 x 6mm; Chip Size: 70x72mmMosaic Tiles specializes in quality..
Collection: Porcelain Mosaic Tiles; Material: Porcelain; Shape: Square; Color: Yellow and Beige; Size: 300x 300 x 8mm; Chip Size: 48x48mmMosaic Tiles specializes in..
Collection: Porcelain Mosaic Tiles; Material: Porcelain; Shape: Square; Color: White; Size: 300x 300 x 5mm; Chip Size: 48x48mmMosaic Tiles specializes in quality..
Collection: Porcelain Mosaic Tiles; Material: Porcelain; Shape: Square; Color: Dark Blue; Size: 300x 300 x 5mm; Chip Size: 25x25mmMosaic Tiles specializes in quality..
Collection: Porcelain Mosaic Tiles; Material: Porcelain; Shape: Square; Color: Red, Brown,Beige; Size: 300 x 300 x 4 mm; Chip Size: 25 x 25 mmMosaic Tiles specializes in..
Collection: Porcelain Mosaic Tiles; Material: Porcelain ; Shape: lantern; Color: Tan; Size: 276x 250 x 6mm; Chip Size: 70x72mmMosaic Tiles specializes in quality..
Collection: Porcelain Mosaic Tiles; Material: Porcelain; Shape: Square; Color: Mix Yellow,Red,Green and Blue; Size: 300x 300 x 4mm; Chip Size: 25x 25mmMosaic Tiles..
Collection: Porcelain Mosaic Tiles; Material: Porcelain; Shape: Square; Color: Mix Blue and Grey,Tan,Red; Size: 300x 300 x 4mm; Chip Size: 25x 25mmMosaic Tiles..
Collection: Porcelain Mosaic Tiles; Material: Porcelain; Shape: Square; Color: Black; Size: 300x 300 x 5mm; Chip Size: 48x48mmMosaic Tiles specializes in quality..
Collection: Porcelain Mosaic Tiles; Material: Porcelain; Shape: Square; Color: Orange; Size: 300x 300 x 5mm; Chip Size: 48x48mmMosaic Tiles specializes in quality..
Collection: Porcelain Mosaic Tiles; Material: Porcelain; Color: Yellow ,Grey and Blue; Shape: Square; Sheet Size: 300mmx300mm; Chip Size: 1x1 In. 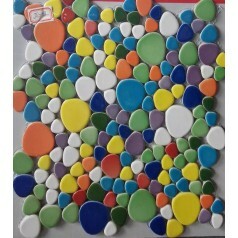 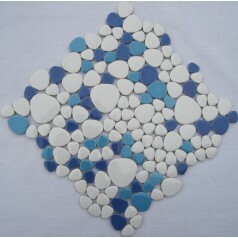 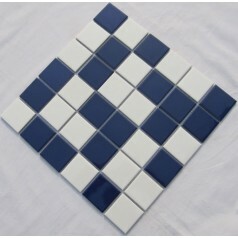 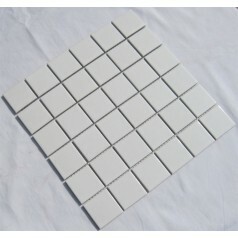 (25x25mm);..
Collection: Porcelain Mosaic Tiles; Material: Porcelain; Shape: Square; Color: Mix Tan; Size: 300x 300 x 4mm; Chip Size: 25x 25mmMosaic Tiles specializes in quality..
Collection: Porcelain Mosaic Tiles; Material: Porcelain ; Shape: lantern; Color: White; Size: 276x 250 x 6mm; Chip Size: 70x72mmMosaic Tiles specializes in quality..
Collection: Porcelain Mosaic Tiles; Material: Porcelain; Shape: Square; Color: Champion; Size: 300x 300 x 8mm; Chip Size: 48x48mmMosaic Tiles specializes in quality..
Collection: Porcelain Mosaic Tiles; Material: Porcelain; Color: Iridencent; Shape: Square; Sheet Size: 305mmx305mm; Chip Size: 9.5mmx9.5mm; Thickness:6.5mmMosaic Tiles..
Collection: Porcelain Mosaic Tiles; Material: Porcelain; Shape: Square; Color: Yellow; Size: 300 x 300 x 6 mm; Chip Size: 25 x 25 mmMosaic Tiles specializes in quality..
Collection: Porcelain Mosaic Tiles; Material: Porcelain; Shape: Square; Color: Coffee,Grey and Blue; Size: 300 x 300 x 6 mm; Chip Size: 25 x 25mmMosaic Tiles specializes..
Porcelain tiles were developed over centuries as an earthenware pottery product. 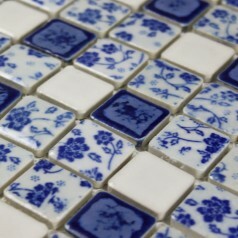 The earliest porcelain tiles were used for flooring. 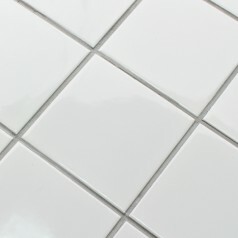 Porcelain tile has many advantages as a flooring material, and is considered one of the strongest fired flooring options today. 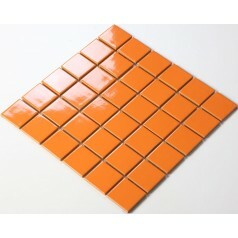 This kind of tile provides a resilience that is hard to match. 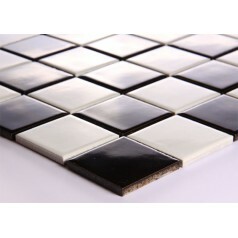 Porcelain tile flooring is very decorative, and comes in a variety of finishes and glazes, ranging from matte to high-gloss appearances. 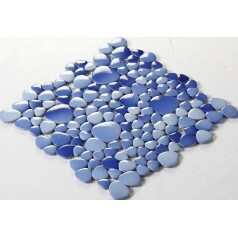 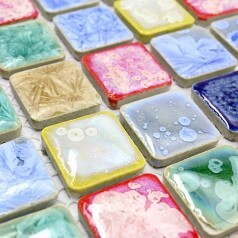 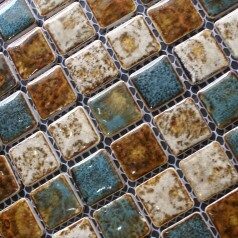 Some porcelain tile even has a translucent look evocative of glass or gems. 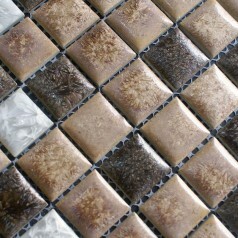 Many homeowners and contractors also appreciate the ease of porcelain tile. 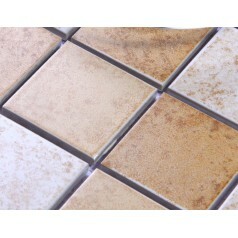 Porcelain tile offers lasting, low moisture absorption, hard porcelain tile floors, easy cleaning, and a variety of colors. 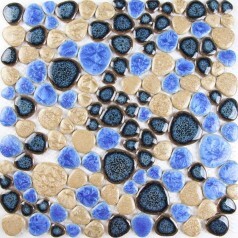 Working with porcelain tiles can be an artistic endeavor, with beautiful and unique results. 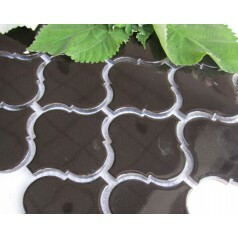 Your home is your castle, and now you can make it look like that of royalty without spending a lot. 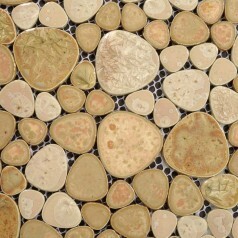 If you need a high-quality flooring product with value pricing, porcelain tiles may be a great investment for you. 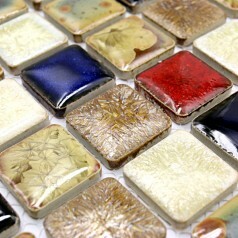 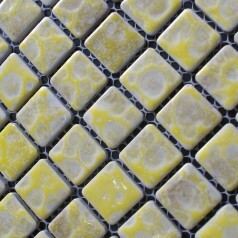 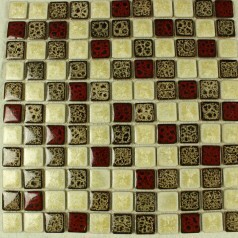 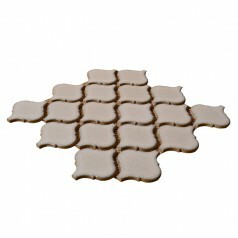 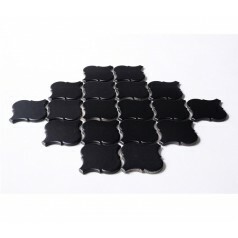 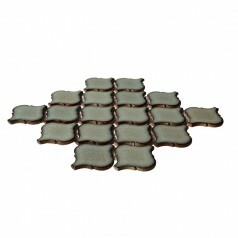 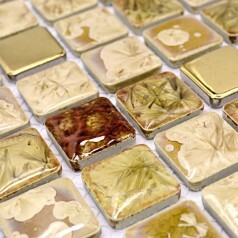 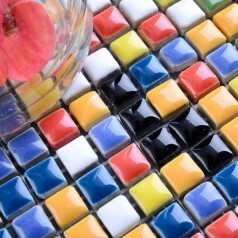 The beauty and durability of these tiles is sure to please you for many years. 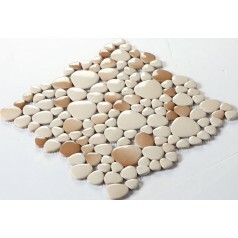 Porcelain tile is an excellent choice for those seeking a durable long lasting and beautiful tile. 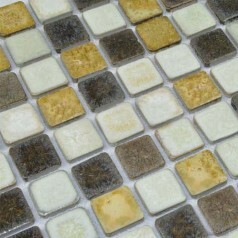 What makes porcelain tile a better choice than ordinary ceramic tile? 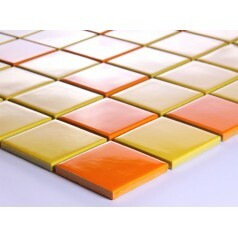 Ceramic tiles usually have a high water absorption rate. 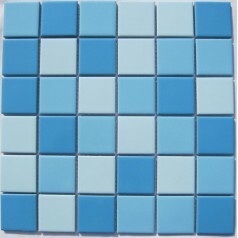 What this means is that because of this, in certain applications, they don’t hold up as well as porcelain which has a very low water absorption rate (less than 0.5%) in frosty conditions. 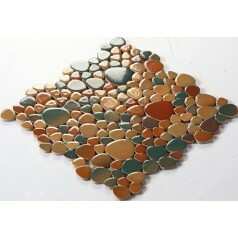 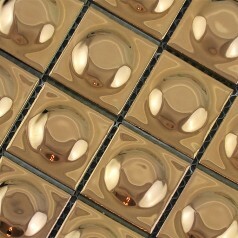 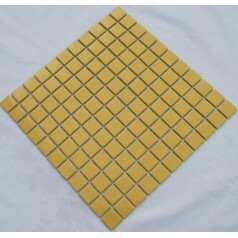 Non-porcelain ceramic tile chips more easily and is more likely to show wear from heavy traffic use. 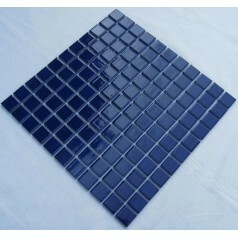 Porcelain tiles are fired at extremely high temperatures so that they become non-porous and are simply glazed to make them easy to clean and to give them a nice glossy finish like the ones we offer here at Hominter.com. 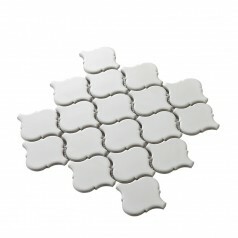 Porcelain tile shows less wear and holds up to stress better than ceramic tile making porcelain tile suitable for any residential or commercial high traffic application.